I have not found a flagholder with this designation to date. but this flag was in a VFW flagholder. I have also seen them in the flagholder of the war they served in. 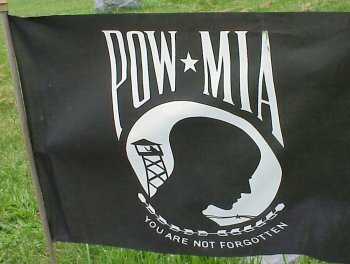 This designates the Missing in Action and Prisoner of War military members.